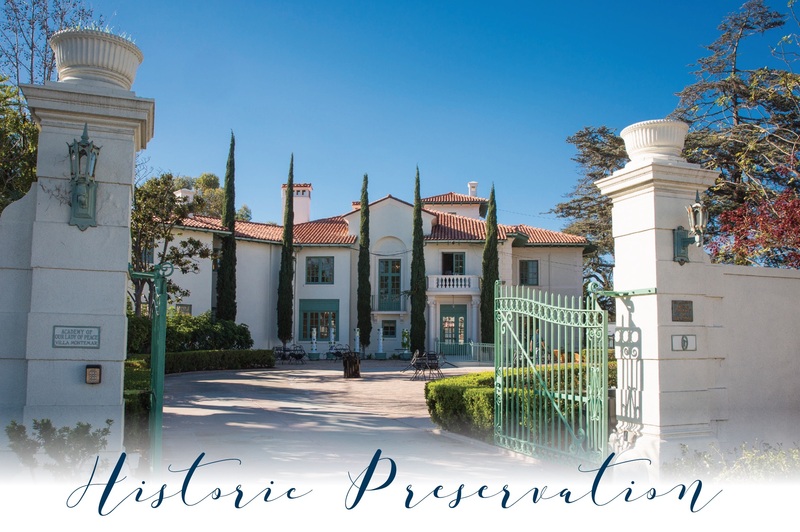 OLP is committed to preserving the historical beauty of the Villa Montemar campus, ensuring that the exterior design is maintained and where possible enhanced. 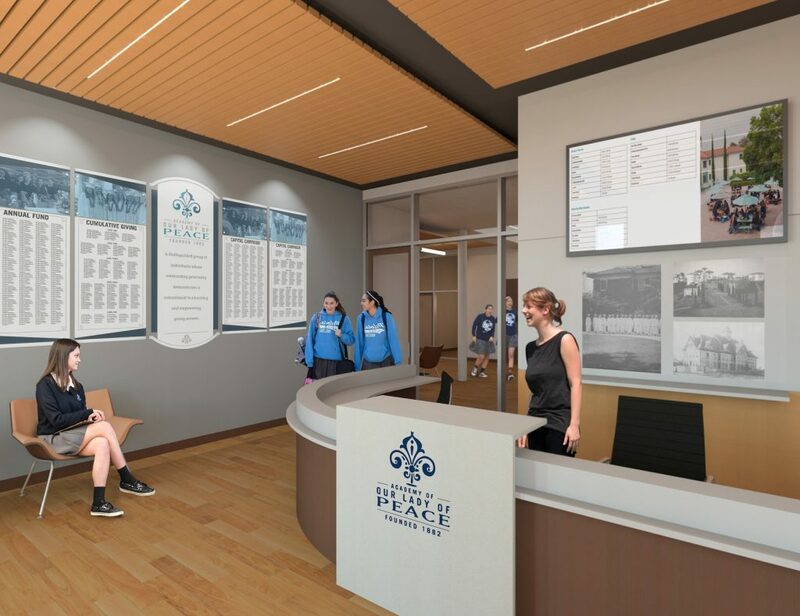 The construction project for Aquinas and St. Joseph halls will specifically focus on interior modifications with exterior historical enhancements. 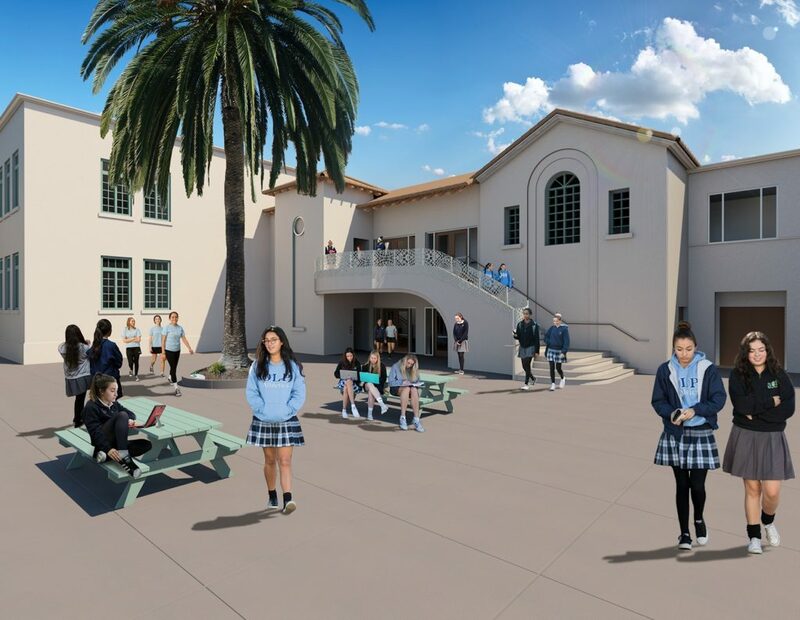 Over the last century, OLP has maximized the gift of these historic buildings and is now at a juncture where necessary infrastructure such as electrical, plumbing, heating, air conditioning, and interior pedestrian flow is presenting challenges. Furthermore, the buildings were not designed to support accessibility for those struggling with mobility. 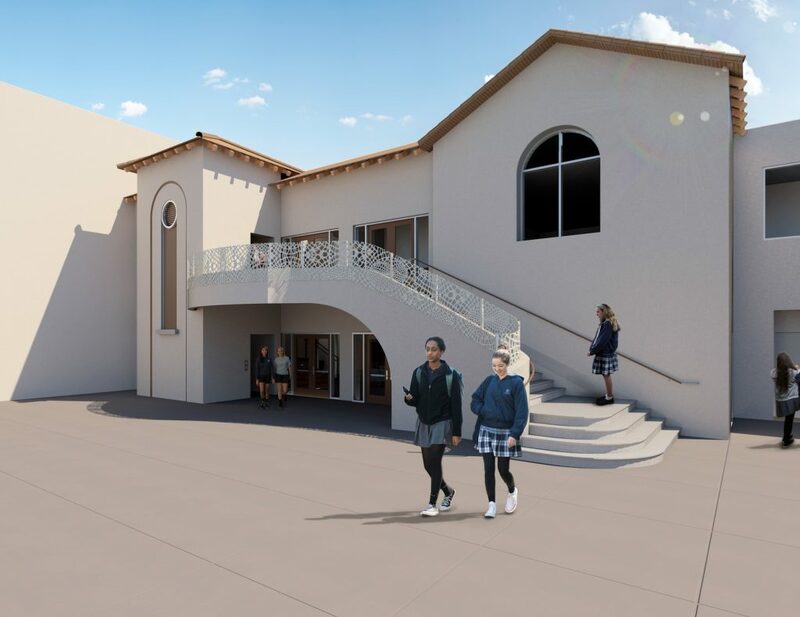 With the construction, we will be able to add an elevator providing full access to all classrooms in both buildings. 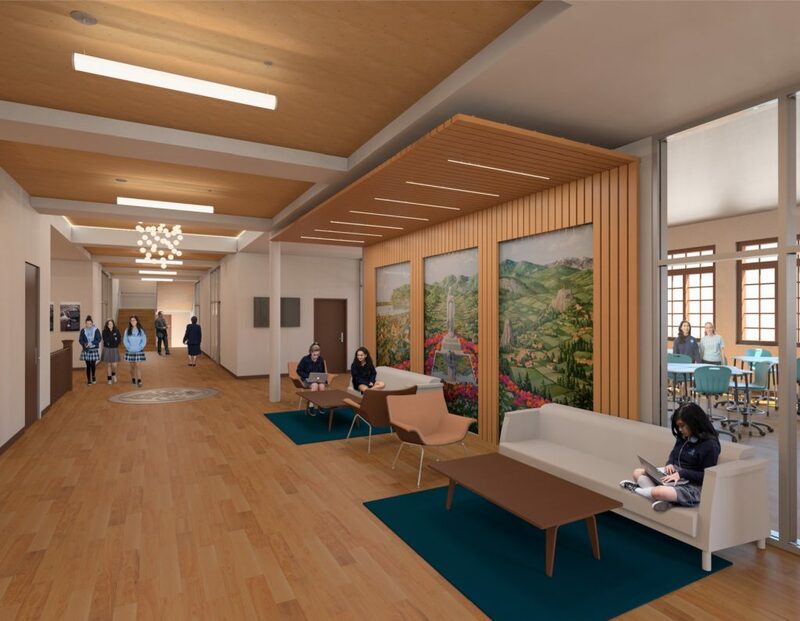 Both Aquinas and St. Joseph halls are in great need of basic updates to maintain their integrity and to allow our students, faculty, and staff to perform at their highest levels. 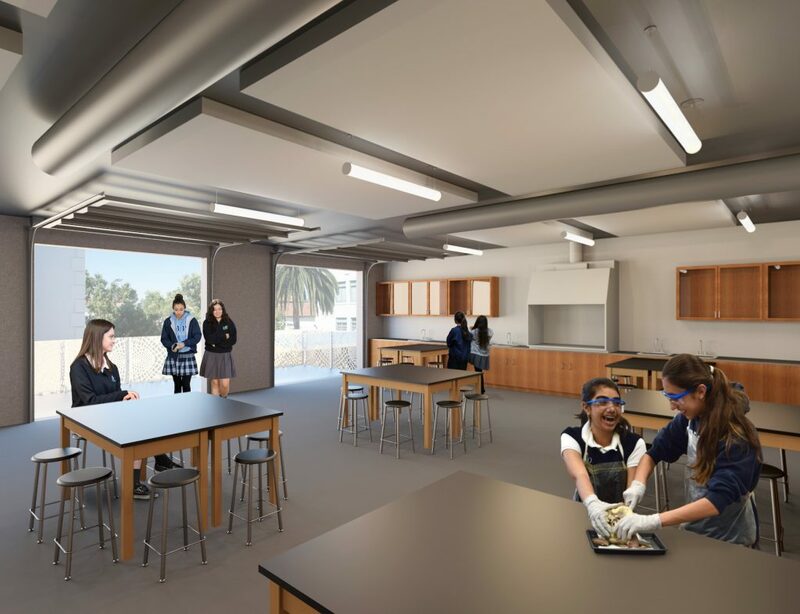 Interior renovations will focus on bringing natural light into the classrooms and hallways by repairing old windows to be fully operable and minimize heat transference along with adding mechanical blinds for ease of access. 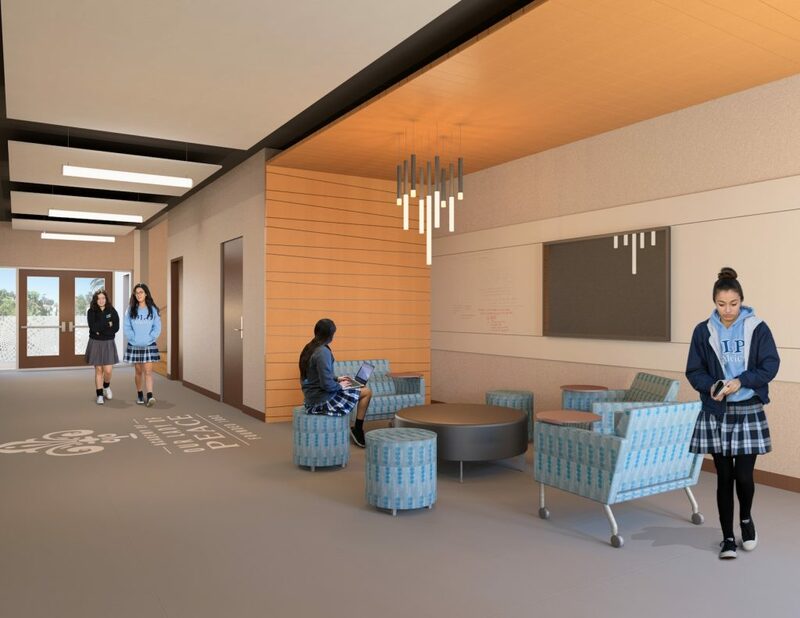 Hallways will have new seating for students and faculty in a combination of options allowing for social gatherings and group work sessions. 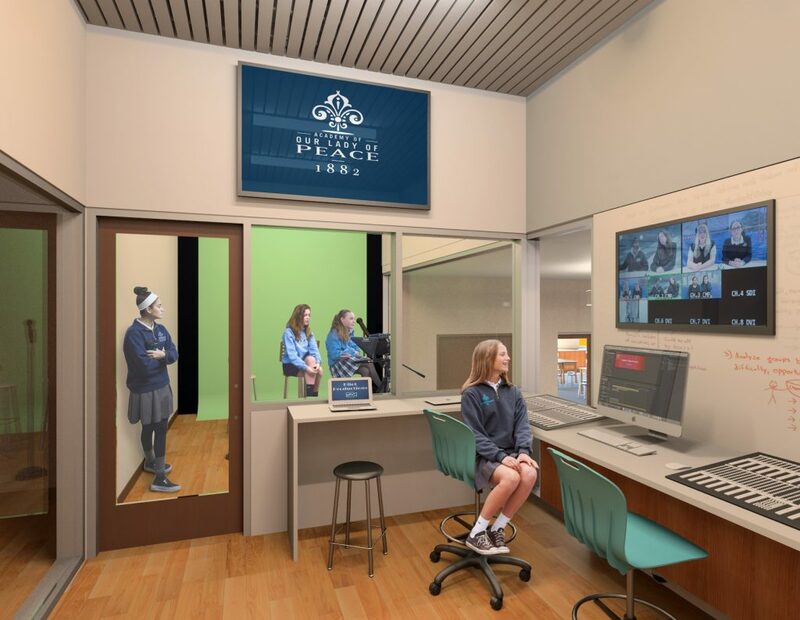 Transitioning from the classrooms to the hallways, glass windows will be added to allow for visibility and light to penetrate all thoroughfares. 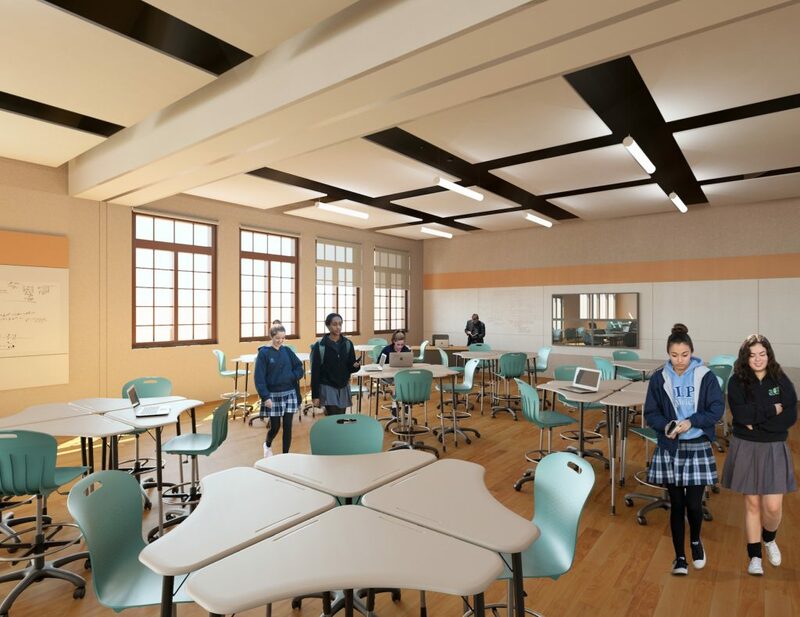 Reconfiguring the current layout will allow for additional classroom spaces, increased restrooms and greater diversity in the locations of restrooms for ease of use. 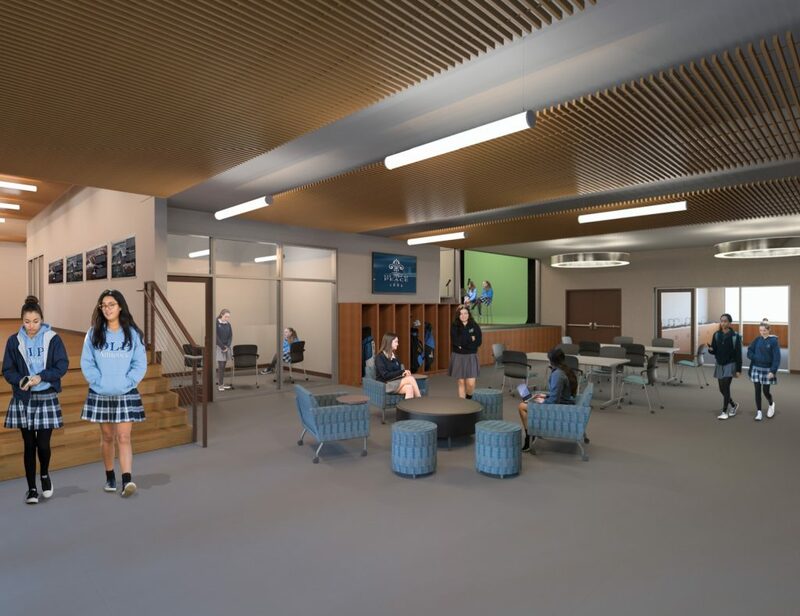 Classrooms will be modified to increase student work and think spaces on walls through the integration of additional writable wall surfaces. Preserving the hallmarks of the 1920’s construction is paramount in our work with Domusstudio architects and Johnson and Jennings contractors. 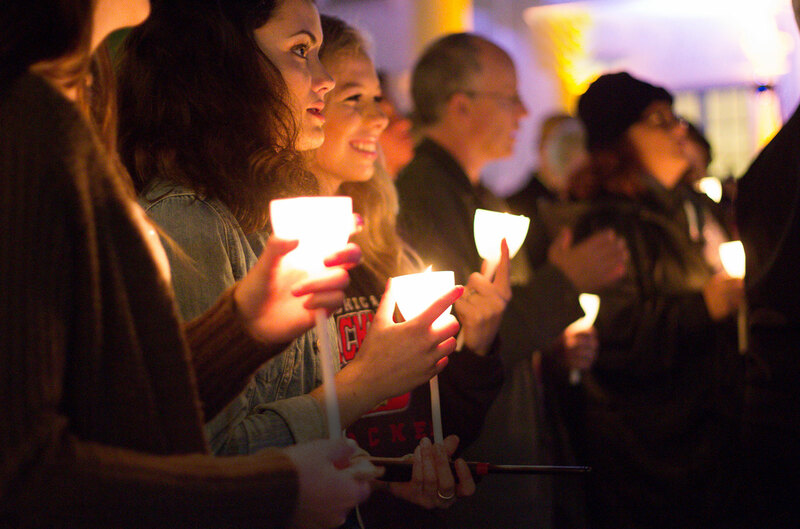 Simultaneously we are also looking at increasing measures to secure the campus such as a secondary door to enter the heart of the campus, and the elimination of unmonitored multiple points of entry.